With the complex nature of impacts of cybersecurity breaches, it is critical that organizational have cybersecurity project managers that can make sound managerial and leadership decisions. Often cybersecurity project managers act quickly with managerial decisions at work. When time is of the essence, strategic thinking, strategic communication, and strategic decision making are critical to organizational effectiveness and productivity. Decision making and strategic communications are just a few skills that executive leadership coaches can teach. This article explores the values and potential benefits of executive coaching as a leadership development tool for information technology and cybersecurity project managers. 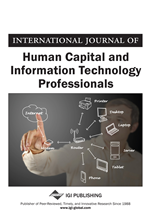 Currently, career development, primarily professional and leadership development remains a low priority for cybersecurity and information technology professionals (Oltsik, 2017). According to (Oltsik, 2017), another disquieting data point is that cybersecurity and information technology professionals need more business training to enhance the technicians’ career and business development. Lester and Parnell (2006) outline that many organizations promote technical personnel into management positions believing that technical expertise transfers directly into leadership competencies. However, the professional capacities required of high performing technical experts might not be the same skills required in leadership roles (Lester and Parnell, 2006). Technical competence does not transfer into managerial competence as technical skills involve analytical and design whereas the managerial role requires people skills, decision-making, and team building competencies (Goldberg, 2006; Rothenberger, 2016; Dzameshie, 2012). As an information technology executive with firsthand experience of transitioning from a technical role to a leadership position, the learning curve is steep and extremely challenging. In fact, this practice is customary due to the lack of leadership development programs (Burrell, Nobles, & Aridi, 2018). The adage of leadership is leadership is not a one fits all, especially in cybersecurity (Burrell, Nobles, & Aridi, 2018). There needs to be considerable thought and methodical decision-making in designing leadership development programs for those leaders working in cybersecurity because of the interdisciplinary vastness of the field accompanied by mandating requirements for Board of Directors and corporate officers (Burrell, Nobles, & Aridi, 2018). These obligatory provisions are enforced to safeguard critical information, systems and networks, and customers’ financial and informational properties—yet, leadership development remains an afterthought (Burrell, Nobles, & Aridi, 2018). According to Boyd (2018) being successful as a cybersecurity manager requires more than just understanding technology. Effective leadership in cybersecurity requires managers at all level to develop some soft skills related to communication, strategic decision making, and employee management (Boyd, 2018). Cybersecurity project managers need the communication, writing, and strategic thinking skills more than ever because they are often required to justify equipment and software purchases that can run from hundreds of thousands to millions of dollars (Boyd, 2018). This requires an ability to understand and communicate strategically so that senior leaders in their language (Boyd, 2018). This communications with leaders outside of the cyber realm requires the ability to understand the value and gracefully articulate organizational importance of needed resources (Boyd, 2018). Most technical degree programs or certifications do not teach these skills to cybersecurity leaders, hence induction and growth of executive coaching as a leadership development tool. The popularity of coaching as a practice to attain projects’ success is increasing worldwide (Lebian, 2011, McCarhty, 2011). Researches conforming effective interrelation between coaching and successful project management (McCarthy, 2011). Organizations spend a year 2 billion dollars, globally, in procurement of coaching services (Walker-Fraser, 2011).